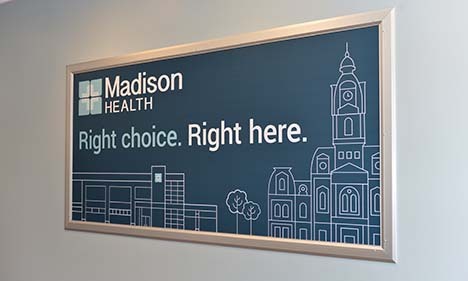 Madison Health held a ribbon-cutting ceremony on Jan. 16 in celebration of the completion of its $25 million expansion and renovation project. 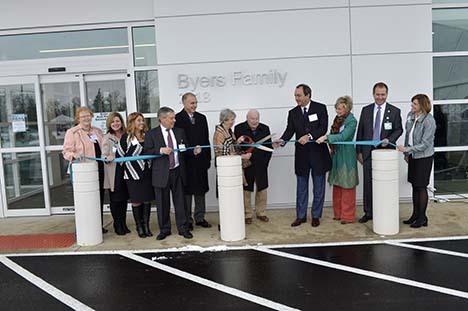 On hand were: (from left) Becky Rozell, vice president of human resources; Cindy Stout, vice president of marketing and physician relations; Jennifer Piccione, vice president of nursing and clinical systems; Bob Waldeck, vice president of construction management; Mike Browning, chief financial officer; Diane and Buddy Byers, donors; Dr. Mitch Spahn, chief medical officer, and Sherry Spahn, building campaign co-chairs; Dana Engle, CEO; and Ginger Kronk, vice president of development. 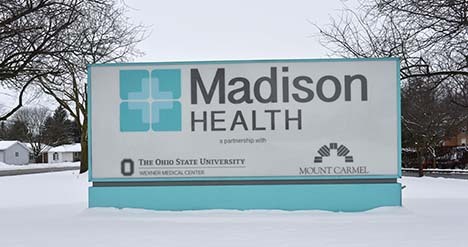 Diane and Buddy Byers stand outside Madison Health’s new addition. 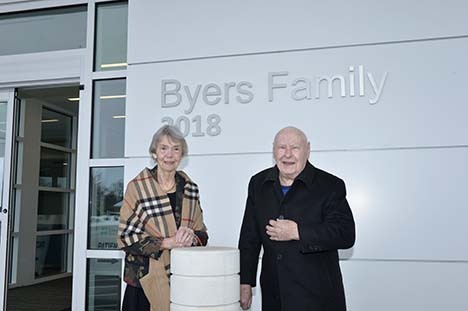 The Byers family donated $1 million to the expansion project, which was completed on time and on budget. 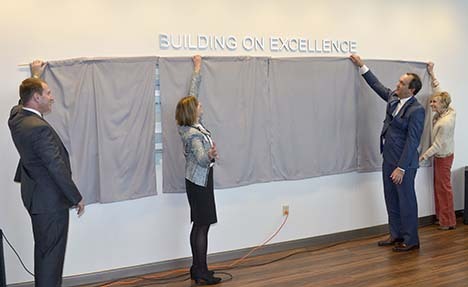 (From left) Dana Engle, CEO, Ginger Kronk, vice president of development, and Dr. Mitch Spahn and Sherry Spahn, building campaign co-chairs, prepare to unveil the donor wall located inside the main entrance to the hospital’s new addition. The donor wall recognizes contributors to the hospital’s “Building on Excellence” campaign. 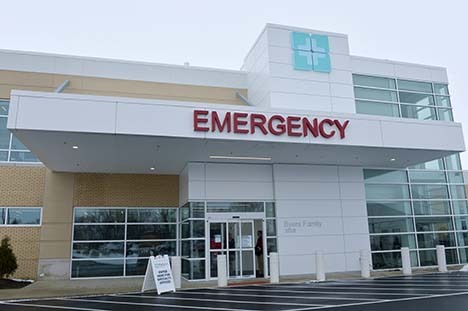 The new Emergency Department has two entrances. The one shown here is for walk-in patients and is accessible from Park Avenue. 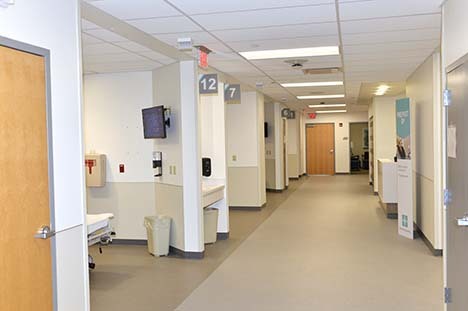 The new Emergency Department features 16 private rooms. 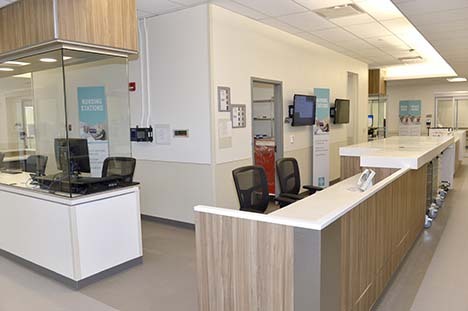 The nurses’ station in the Emergency Department is situated in closer proximity to patients. 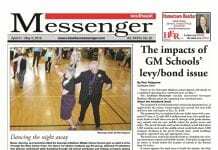 The department’s door-to-doctor time is less than 13 minutes. 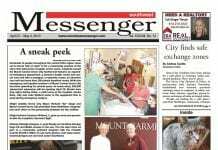 The new Emergency Department has two entrances. 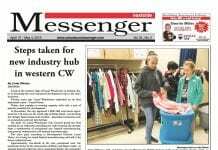 The one shown here is located off of Main Street and is for emergency medical service (EMS) personnel only. 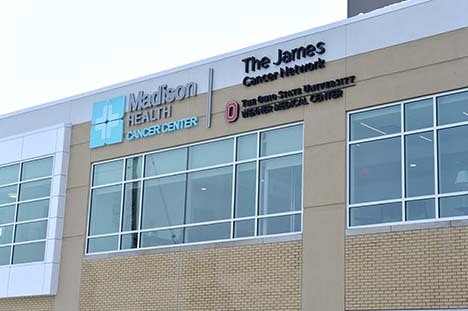 The other entrance, located off of Park Avenue, is for walk-in patients. Jennifer Piccione, the hospital’s vice president of nursing and clinical systems, stands inside the decontamination room in the Emergency Department. 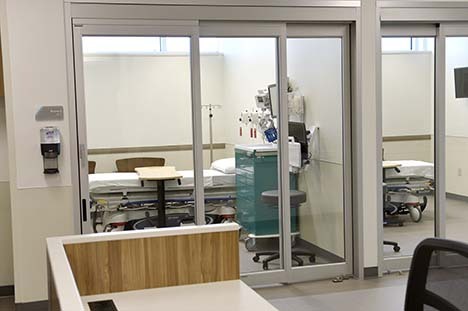 The room has an outside entrance for emergency medical service (EMS) squads. 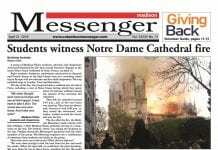 The new Cancer Center is accessed from Park Avenue. 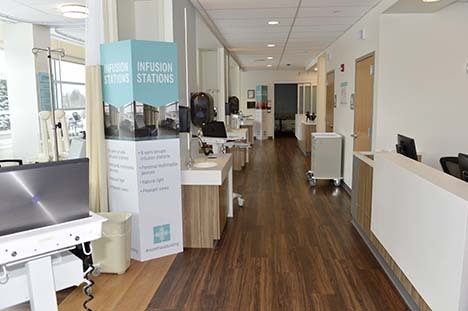 The infusion area in the Cancer Center includes an open area, as well as two private rooms. 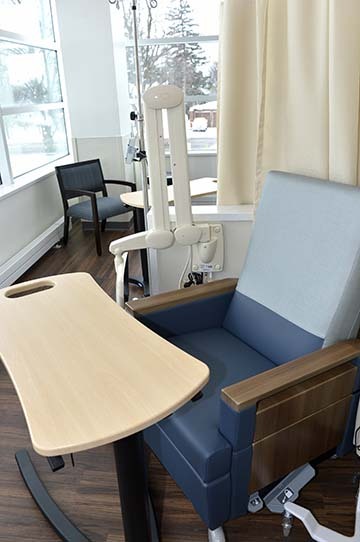 The infusion area in the Cancer Center features chairs, equipped with televisions, for patients. 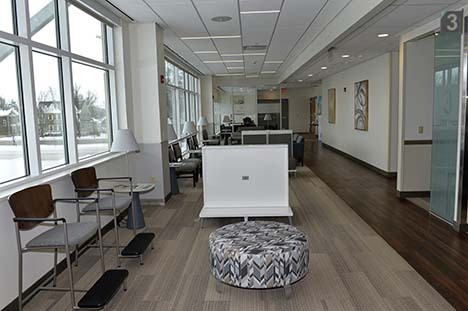 The waiting area outside the new medical specialists offices, located on the second floor of the new addition, features lots of natural light. 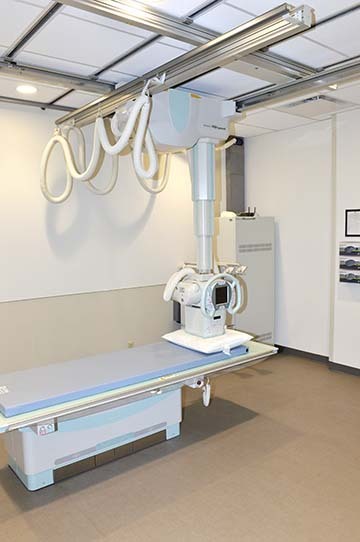 An X-ray room is part of the new medical specialist office area on the second floor of the addition. The room serves the floor’s orthopedics specialists. 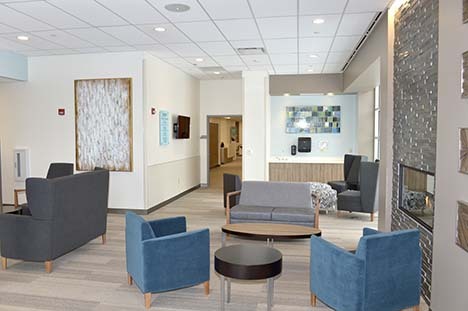 The waiting area outside the new pre/post-surgery area includes comfortable seating and a fireplace. 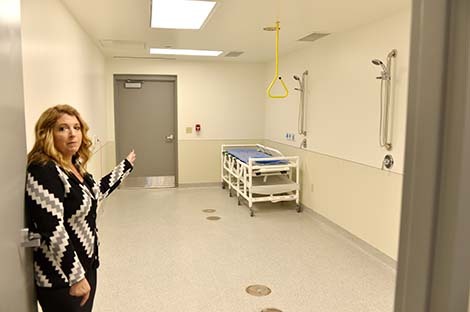 The new pre/post-surgery rooms offer more privacy, as well as space for loved ones. 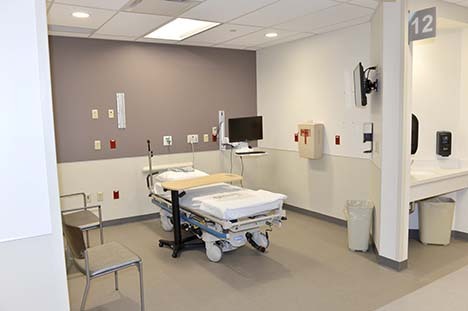 New pre/post-surgery rooms are part of the hospital’s new addition. 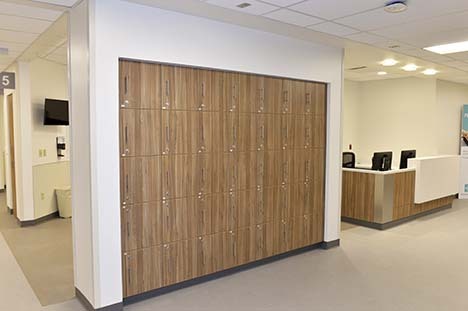 Lockers are available for patients’ personal items during surgical procedures. They are located in the new pre/post-surgery area. A new enclosed walkway connects the hospital to the Park Avenue Medical Center. 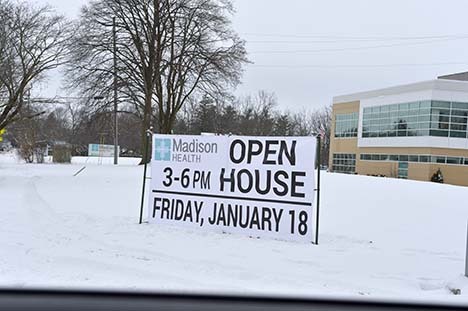 The public is invited to attend Madison Health’s grand opening, set for 3 to 6 p.m. Jan. 18. 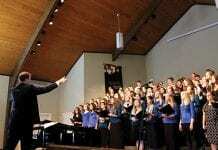 A grand opening ceremony is scheduled for 3 p.m. Meteorologist Jym Ganahl is the event’s emcee. 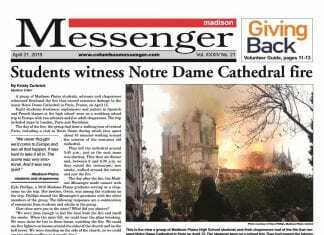 Tours will be given following the ceremony.